Meek Mill has won his battle to be freed from prison on bail. Fox 29 Philly tweeted Tuesday afternoon that the Supreme Court of Pennsylvania ruled that the lower court must immediately issue an order releasing the rapper, whose real name is Robert Rihmeek Williams, on an unsecured bail with conditions for that bail being the same as before. The rapper was visited in prison early Tuesday by comedian Kevin Hart, who was accompanied by Philadelphia 76ers co-owner Michael Rubin. Hart posted on Instagram that he learned Meek would be free while visiting him. “Meek Mill is Frrrrreeeeeeeee ....I just left from seeing him in jail with @michaelgrubin and we were just told that he is being released. Woooooooow......Stand Up Philadelphia!!!! !” Hart wrote. Last week, Philly District Attorney Larry Krasner’s office said that Meek’s conviction should be overturned in light of questions concerning the integrity of the officer who arrested him. Upon getting the news of his impending release, the rapper told TMZ, “I’d like to thank God, my family, my friends, my attorneys, my team at Roc Nation including Jay-Z, Desiree Perez, my good friend Michael Rubin, my fans, the Pennsylvania Supreme Court and all my public advocates for their love, support and encouragement during this difficult time. 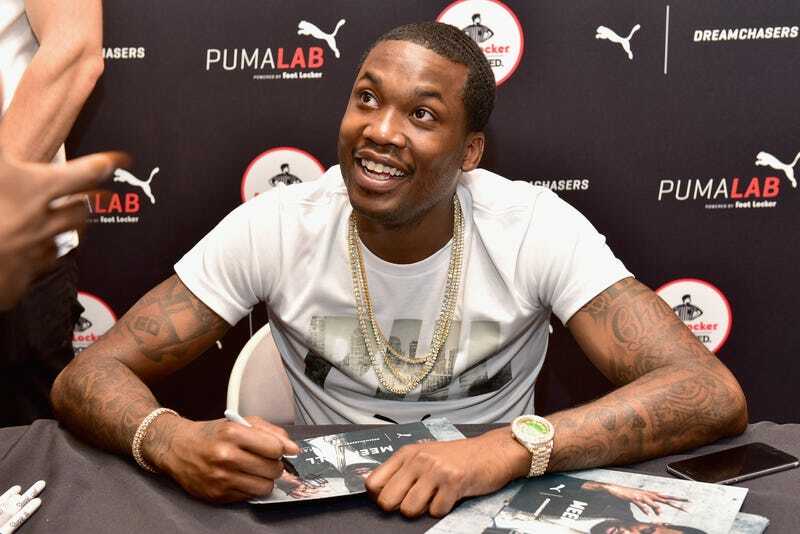 “While the past five months have been a nightmare, the prayers, visits, calls, letters and rallies have helped me stay positive,” Meek continued. To the Philadelphia District Attorney’s office, I’m grateful for your commitment to justice—not only for my case, but for others that have been wrongfully jailed due to police misconduct. Although I’m blessed to have the resources to fight this unjust situation, I understand that many people of color across the country don’t have that luxury and I plan to use my platform to shine a light on those issues. In the meantime, I plan to work closely with my legal team to overturn this unwarranted conviction and look forward to reuniting with my family and resuming my music career.